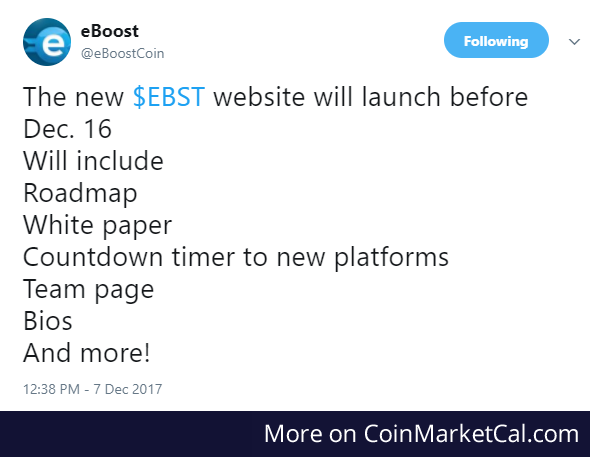 "The new $EBST website will launch before Dec. 16. Will include Roadmap White paper". Update: Dec. 15.